As part of the national Playday campaign, there will be a free play day for children in Chippy tomorrow. The day will feature a range of activities, including body zorbing, go-karting, tricky trail biking, drumming, street hockey and a climbing wall. There will also be soft play and arts and crafts, as well as laser tag, and the activities are designed for children of all ages. 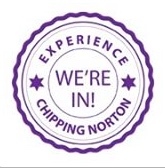 The day will take place on the upper school field of Chipping Norton School, between 11am and 3pm on Wednesday. The Playday campaign aims to highlight the importance of play, and is organised by the Oxfordshire Play Association. It is supported by West Oxfordshire District Council, Oxfordshire County Council, and the Cottsway and Sovereign housing associations. Chippy Theatre and the Lido are among the local organisations involved in the day. This entry was posted in news, places and tagged activities, children, free, play, Playday, summer. Bookmark the permalink.